This section provides an quick introduction of Uranus sign in horoscope. 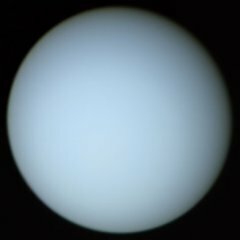 Uranus was discovered in year 1781 and only is used in modern astrology. Uranus is associated with the principles of genius, new and unconventional ideas, discoveries, electricity, inventions, and the beginnings of the industrial revolution. Uranus sign of a person is defined as the zodiac sign where Uranus is positioned at the person's birth time.